Your home insulation or how to act on thermal bridges? Home » Eco-friendly, Home Insulation, Home Renovation » Your home insulation or how to act on thermal bridges? A thermal bridge is an area of the house or flat where the energy escapes. It can be heat in winter… or coolness in summer. It is therefore a lack of insulation, which can result in an additional expenditure. The good news is, some of these defects can be corrected before the winter. Where are the thermal bridges? 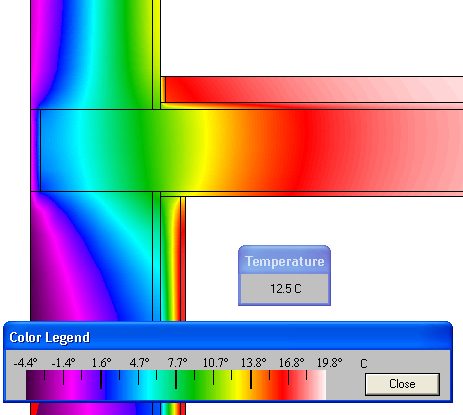 In a house or a flat, thermal bridges are located in many areas. They represent a risk to your property: loss of energy, but also mildew, deterioration of materials… So many facts which allow us to locate them. In the case of a poorly insulated window for example, it creates condensation. This may also be the case on the walls. But to determine their location, the best solution is to call a professional who will be able to detect them. on balconies, if they were build at the same level as the floor. junctions of floor and roof with external walls, windows and door openings. How to insulate your home and avoid thermal bridges? It is possible to act on the insulation from the inside and the outside of your home. opt for thermal bridges breakers on ground floors and for insulation from the inside. 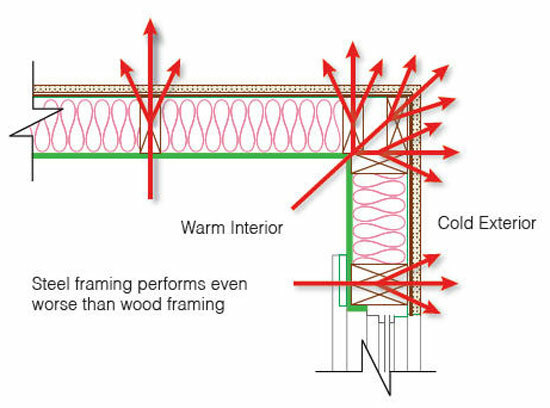 Around 30% of the total heat loss through a building’s fabric can be caused by thermal bridging. Improving the design details of lintels, walls to floors junctions as well as gable walls junctions. The best way to avoid thermal bridges remains the complete insulation of your home from the outside. Still rare and much more expensive than the thermal insulation from the inside, this technique allows to eliminate all thermal bridges. If you want to carry out this type of insulation, you should make a decision on the choice of materials (cellular concrete or glass or expanded clay to avoid thermal bridges at the corners of walls and floors) during the construction process. Be sure to discuss it with the professional who will perform your insulation. On the other hand, very good insulation of the floor (using a system of floating slab ) will minimize the appearance of thermal bridges. This article was posted in Eco-friendly, Home Insulation, Home Renovation. Bookmark the permalink. Follow comments with the RSS feed for this post.Post a Comment or leave a trackback: Trackback URL.